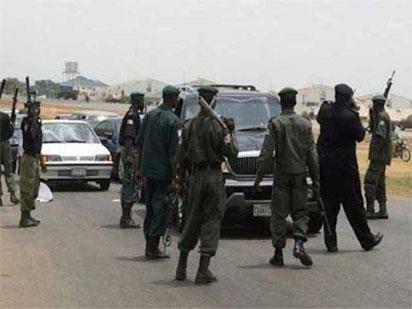 The Police Command in Taraba has arrested 39 `strange men’ parading in Nguroje, Sardauna Local Government Area of the state. The spokesperson of the command, ASP David Missal, disclosed this on Wednesday while briefing newsmen in Jalingo. Missal said the arrest of the suspicious men, whose ages ranged between 30 and 40 years, followed an alarm raised by residents of Nguroje. He said the men who were allegedly harboured by a woman in the community were first taken to Gembu Divisional Police Headquarters where they were interrogated and later transferred to the Command Headquarters in Jalingo for further investigation. The police spokesperson said the men claimed to be refugees from Cameroun Republic, but that their movement was suspicious because they did not report their arrival in the area to any security agency or any other appropriate authority. He said that earlier batches of refugees who fled the crisis ridden North-West Cameroun comprising women, children and the aged reported to appropriate quarters and were camped and catered for. “This set of able bodied men only sneaked into Nguroje, passing through other towns and Gembu, the council’s headquarters, without information,’’ he said. Missal, however, said that no incriminating item was found on them, adding that the people were currently undergoing security interrogation with a view to ascertaining their mission in the area. Meanwhile, the Acting Chairman of Sardauna Local Government, Rev. Godwin Sol, said the suspects, who claimed to be from Bamenda in Cameroun, did not notify the council of their coming. Sol wondered why they opted to proceed to Nguroje instead of stopping in Gembu where there was an existing camp put in place for refugees. The chairman said such action raised doubts about their movement, saying that it was not only illegal but suspicious. He warned that the council would not fold its arms and allow people of questionable character to be a source of trouble on the Mambilla Plateau, any more. Newsmen report that Sardauna local government area had in June 2017 witnessed a bloody crisis that led to the death of hundreds of people, destruction of property and killing of thousands of livestock. The post Police nab 39 `strange men” in Taraba appeared first on Vanguard News.